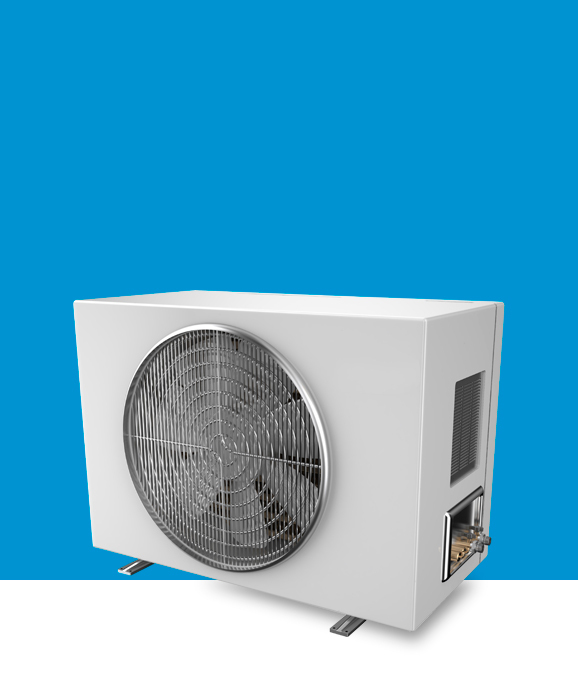 A rebate to help upgrade to a high-efficiency air source heat pump - up to $725 per ton! Heating is the single largest use of energy for many businesses, and an air source heat pump uses up to 50% less energy when compared to an electric furnace. Systems must be AHRI certified matched systems. Systems must be AHRI matched systems. Single-packaged (unitary) systems, ducted split systems, ductless split systems and variable refrigerant flow units are eligible for rebates. Heat pump must be utilized during the heating season. Must off-set electric resistance heating. Contact us if replacing an existing air-source or water source Heat pump or in a new construction. Must off-set electric resistance heating or be new construction. * Standard size refers to having an external wall opening greater than or equal to 16 inches high or greater than or equal to 42 inches wide, and a cross-sec-tional area greater than or equal to 670 square inches. ** Non-standard size refers to having an external wall opening of less than 16 inches high or less than 42 inches wide, and a cross-sectional area less than 670 square inches.